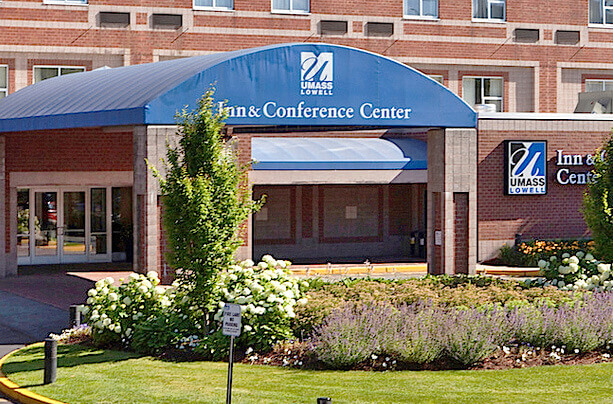 The Conference will be held at the UMass Lowell Inn & Conference Center (ICC) in downtown Lowell, Massachusetts, just 25 miles northwest of Boston and easily accessible from both the Logan International Airport in Boston, MA and the Manchester Boston Regional Airport in Manchester, NH. Get directions to campus and the ICC using our interactive Google maps. Public transportation around Lowell - Lowell Regional Transit Authority (LRTA) Public transportation in the Boston area - Metro Boston Transit Authority (MBTA) Public transportation from Boston to Lowell - Metro Boston Transit Authority (MBTA) Within Boston, take the subway to North Station and then the Lowell commuter rail line to Lowell. 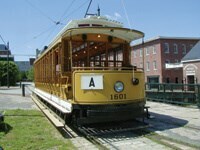 Boston, located about 30 minutes from Lowell by commuter rail or car, is a city brimming with history, arts, museums, and sports. The Freedom Trail highlights 16 historic sites, including Boston Common, Faneuil Hall, Paul Revere House, the U.S.S. Constitution, and the Old North Church, the site of the lantern signal "One if by Land, Two if by Sea" that started the American Revolution. A wide array of entertainment and fine dining await Boston visitors.